Guy Martin will be back in action on his Honda Racing CBR1000RR Fireblade SP2 after being confirmed as a last-minute entry into Sunday’s Moto Time Attack at Cadwell Park. Martin will pilot the SP2 in the new event, which is based on the highly successful Time Attack format for car racing, open to a variety of standard and modified machinery. 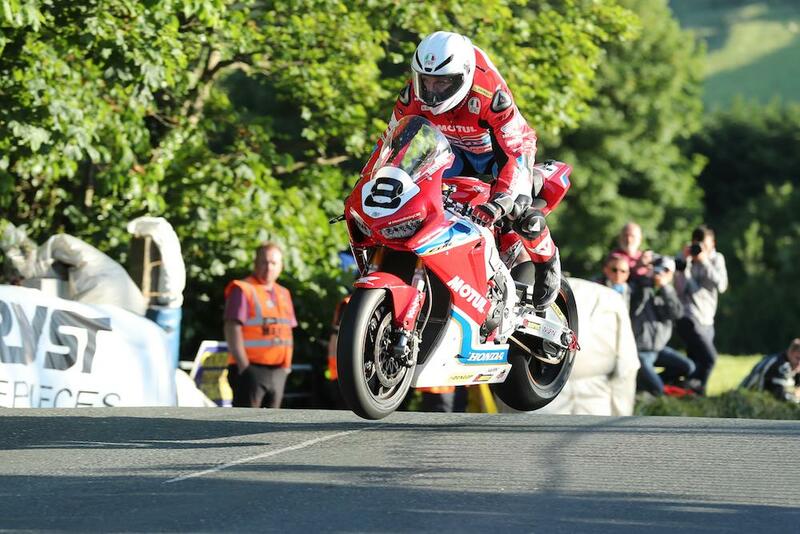 The news comes after it was confirmed that the TT racer and truck mechanic turned TV star would sit out this week’s Southern 100 races in order to focus on testing with the Honda Racing team after their disastrous campaign at the 2017 Isle of Man TT. Having sensationally announced he would make a comeback to racing with Honda after a year away, Martin is yet to complete an international road race aboard the Fireblade. He was withdrawn from the Superbike and Superstock races at the North West 200 after team-mate John McGuinness crashed in practice after his throttle reportedly stuck open. He then crashed in the opening Superbike TT before withdrawing from the Senior race stating he didn’t feel the bike was ready. Martin and the Honda team are scheduled to make an appearance at the Ulster Grand Prix and Armoy Road Races in the next month, but MCN understands a final decision on whether they’ll compete at these events will be taken after further testing. The inaugural Moto Time Attack boasts an entry list of 40 riders, headed by Martin, with other names including road racer Dan Hegarty and National Superstock 1000 podium man Chrissy Rouse. The event gets underway on Sunday 16th July with entry free to all spectators, more information can be found here. Roads: Guy Martin: "Tyco were brilliant, but Honda is the best chance of winning a big bike race"